Beef Black Pepper is one of the most sought after cuisine because of its thick sauce. This one dish is highly favored by the people of Indonesia. 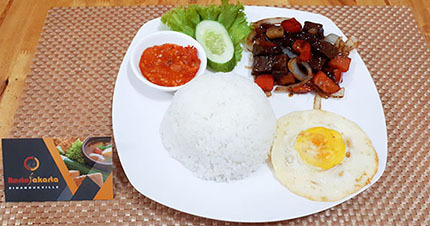 Spicy from black pepper will make the beef very favored, because the dominant Indonesian is very fond of the spicy flavor.